Summer is here and it is time to fire up the grill and get cooking. Grills are a fantastic way to reduce the amount of heat inside of the home, and have authentic barbecue experience outdoors. There is nothing quite like having meat smoked on the grill or having a tray of veggies with that authentic barbecue taste. There are some households that cook every single meal on a grill, so it makes sense that if you are buying one, you should take the time to find the right one for you. The trickiest part these days to finding a grill to buy is that there are so many to choose from. They all range in price, features, and in their ability to cook. So, which one should you buy and which should you stay away from? On top of all the brands and all the products, there are multiple styles of grills to choose from. Right now, the two most popular types of grills are pellet and gas grills. There has been an endless debate on which one is better. Today we are going to weigh the pros and cons of each to help you find the grill that is going to work best for you. Before we can compare them, we want to look at each of them and see what they have to offer. We’ll begin with the pellet grill. These grills use pellets to cook the food you want. So, what are pellets? They are the fuel source and they are made out of tiny scraps of wood that get heated up and then cook the food you want. The main appeal of pellet grills is they offer you almost total customization of the way in which you want to cook your food. Do you just want to simmer your meat slowly over a long period of time? Do you want your meat to have that smoky wooden taste once it is cooked? This is what a pellet grill can offer you. Another appeal to a pellet grill is that is gives off that delicious smell of wood smoke that seeps into the food you are cooking. If you love that smell and taste, there is definitely no contest here. The wood pellets come in a variety of different kinds, and different wood brands, that you can experiment with and find which taste you like the most. Pellet grills are also very versatile, giving you the ability to bake, braise, smoke, or simply barbecue your food. There are pellet grills with digital technology that you just enter and set the temperature, like an oven, and let the grill do the rest. It has the ability to heat up evenly, giving a thorough cook to the food. Pellet grills are also lightweight and leave very little mess behind. They are known to be easy to clean and are also easy to use. They can go mobile and you can easily wheel them around the backyard. The gas grill, on the other hand, is the most popular option on the market today. They are very convenient to use and you never have to worry about cooking unevenly or at inconsistent temperatures. Gas is a cheap resource that you can easily get anywhere, and you can get 20 hours of solid use from just one propane tank. There’s also very little clean up with gas grills. So, which one is better? To answer that, it all depends what you want in a grill. If you want versatility and various ways to cook your food, we recommend the pellet grill. On the other hand, if you would rather have speed and convenience, then the gas grill is going to be the better option. 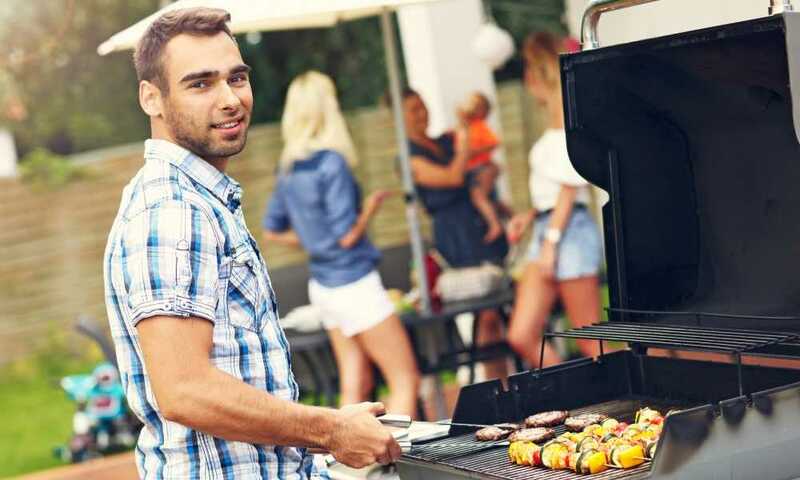 Pellet Grill vs. Gas Grill, they are both easy to clean, and it is known that pellet grills are better for the environment. Now it is up to you to decide which one you want.